You must make reservations at least 5 minutes in advance of the time at Saison. In addition to street parking, there are several pay to park lots located at the corner of Adams and Grace streets. 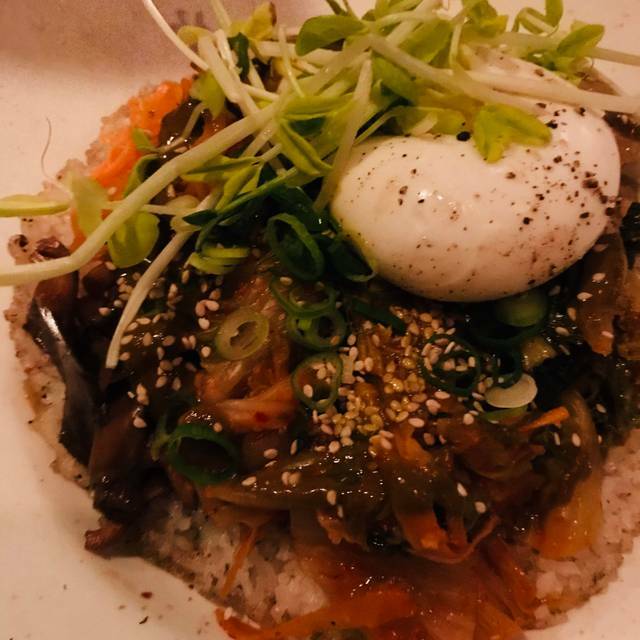 Saison was borne from co-owners Jay Bayer & Adam Hall's travels & heritage where we found harmony in the honest & delicious food of the American South, Central America, and the Caribbean. With amazing cocktail, beer, & wine lists, our Historic Jackson Ward space melds modern & global elements in a cozy & casual space. We source locally whenever feasible & are proud of the connections we have made with our producers/suppliers. We hope to see y'all soon! Pickled roe, cucumber, red onion, jalapeño, honeybush dashi. Masa cakes, lime crema, curtido, pickled red onion, ciltantro. Interesting palette of dishes. Took a bit long for the food the come but other than that love everything abt Saison. Incredible food - you get what you pay for ($$) so no disappointment there. Portions were actually larger that we expected. Drinks were just as unique as the rest of the menu. Great date night spot, although it did get loud as it filled up. We really enjoyed our meals. They were quite innovative and the combination of ingredients and flavoring was great. We only wish they had more fish options for the main course or specials with fish. A killer cocktail program, an inventive, well-executed menu, and great service. Every time. This place is a class act. 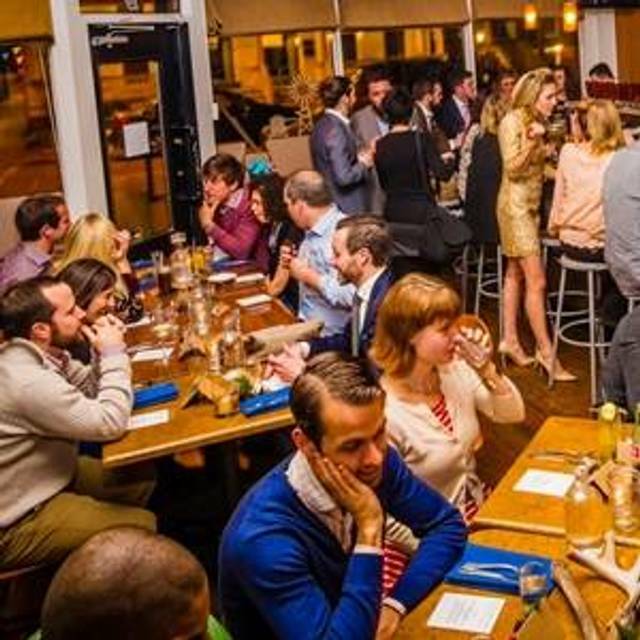 The restaurant had neighborhood community ambience and served delicious, inventive dishes. Server was thoughtful, polite, and efficient without being obsequious. They operate a chill "market" around the corner, where you can have a drink and conversation. The best food and drinks in town! Love your restaurant! My favorite! The food was great. We had the two small plates - the chickpeas and the red lentil hummus. The chickpeas were a wonderful texture adventure and delicious with sliced beets, microgreens and lots of yum. The red lentil hummus was perfect and a gracious serving. Same with chickpeas. I ordered the Hangar steak and my friend had the Rockfish. Needless to say we were stuffed. The service was WONDERFUL. Ambiance is comfortable, bright, casual. 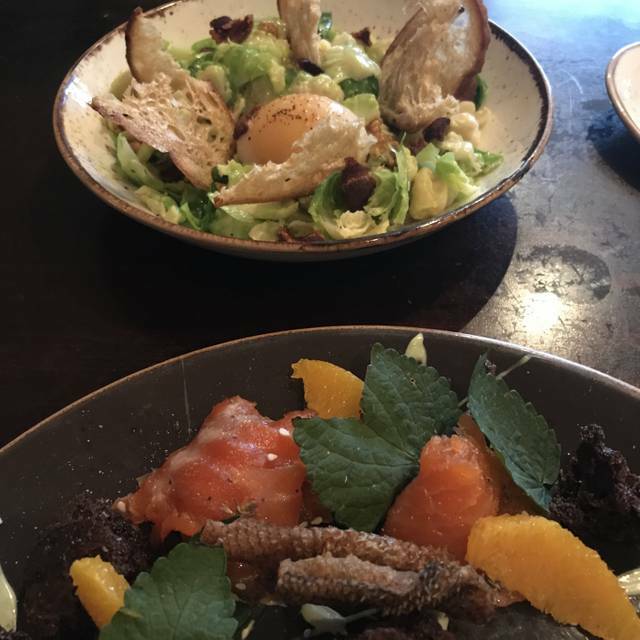 Food is always very, very good ... cured arctic char, Saison burger, Hanger steak ..... all terrific. Cocktails are innovative. Wine list is small but varietally broad and nicely curated. Mostly reasonably priced. Service usually good but this time around, although friendly, was abysmal! (Monday night, empty upon 7PM arrival, promised a corner table while having a cocktail at the bar, table gone by 7:30 seating while other tables were open. Small plate arrived quickly with the wine .... then a hour wait for the burger and steak! Something about how they were overwhelmed by the arrival of 10 walk-in diners! Inexcusable.) A very nice evening out at a good restaurant ruined by sloppiness, lack of attention and disorganization. Not ready for a repeat visit for a while. Recommend with some caution. This place is a gem. Unexpected twists, bright and tasty flavors, magic cocktails, and even vegetable dishes were divine. 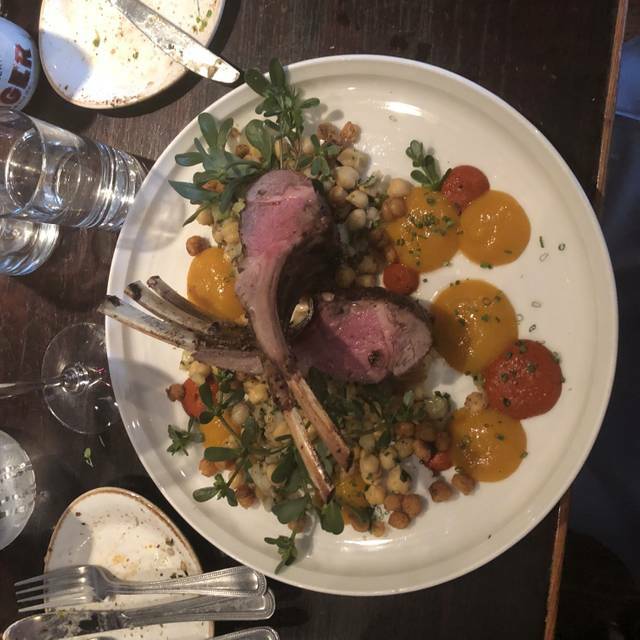 We had a lovely evening, with pretty lighting, a bustling feel, warm unobtrusive service, and every single bite was something really, really good. My gin and tonic was A-mazing. We all enjoyed every part of the meal. The Rundown is always yummy. Saison is my favorite restaurant and it didn’t disappoint. Food was delicious, service was great, excellent wine! Food was outstanding! The wine list was impressive. My Husband and I thoroughly enjoyed our anniversary date there. Whatever you do, you must eat the cornbread. This was our first dining experience at Saison. We had early reservations so noise was not a problem. My companion was interested in the duck entree but we were informed that it was not available. That was surprising since it was early in the evening. We both ordered the Bronzini entree. The fish was delicious as was the accompanying sautéed kale. The calamari and squid could have been left off and wouldn’t have been missed. The dinner was pleasant and we will,probably return. Larger water glasses would also be appreciated. Service was very good. Good & interesting cocktails. Fried chicken was over cooked (charred), burger was wet with dressing. I’d recommend going for cocktails only. We picked Saison because of the previous reviews and how we wanted to try something new. Walking in the first thing I noticed was how small and cozy the restaurant was. I also noticed that because of that, the noise level was quite high. But, as the night progressed, we were used to the noise. The service was very good. We felt well attended too throughout the night, but never felt like it was too intrusive at all. The highlight was probably the food. I enjoyed the food thoroughly and thought it was very good. 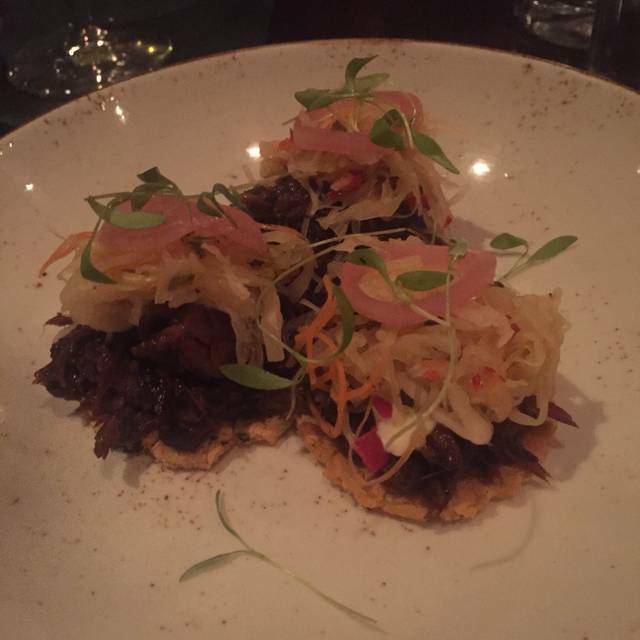 We had the cornbread and oxtail sope as our appetizers and found both to be really good. Probably one of the best cornbreads I’ve ever had... For entrees, we tried the burger and the duck. Both were quite delicious. I don’t think you can go wrong on the food there. One of the things I like is how simple the menu is, just one side of one page. Even still you may have a hard time deciding. I do want to say the prices are kind of on the pricier end bordering fine dining. With appetizers around $10-15 and entrees $15-60. With drinks, expect to pay around $40-50 a person. Also, I would recommend making reservations. It can get busy on the weekends! Traveling through Richmond, made reservation for 5:30pm. About 5:00pm, it became clear to us that due to traffic it would be 5:45-6:00pm before we could arrive. We call the restaurant to explain this, did not appear to be a problem. When we got to the restaurant at 5:50pm, the person seating us asked us to sit at the bar because there was an issue with them blocking out the table and not having time for us to enjoy our dinner. If this was an issue, I wish they would have told us this when I called to let them know we could not make it for 5:30pm. Now I paid to park, and lost 20 minutes getting off of I95 on my travels through Richmond. This won’t be an issue in the future as that was my last visit to this restaurant. Sat at the bar and had a delightful time. My small plate made a wonderful pre-theatre meal. Excellent food. Somewhat of miscommunication with server about order of food and waiting for take home dessert ... overall an interesting menu. This place has been on my list of places to go for some time and we finally were able to visit on a Friday evening. We shared an appetizer of chicken livers mouse - which I could have eaten again and again. My hubby had a hamburger and I had the Mediterranean Sea Bass, which was superb, and it sat on a bed of squid, fingerling potatoes and other fabulous flavours. We will be back! LOVED IT!! Had business dinner and client loved it as well. Loved so much taking the wife back this weekend. I made reservations for 2 on Saturday night (the 26th) at 7pm. PLEASE confirm this reservation is still good...very much looking forward to it. This place had a great casual/friendly vibe, and interesting and tasty cocktails and food. It's definitely on my list for next time I'm in town for work. Amazing food as always, never disappoints!! Awesome cocktails and shared a few small plates. 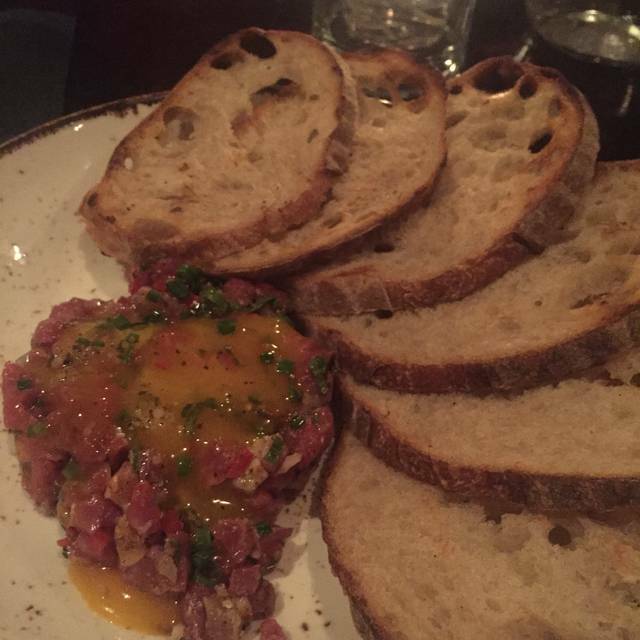 I highly recommend the lamb tartare. Had a fabulous special of oil poached escolar. We will be returning soon. Menu is tricky, only 1-2 things we were interested in, but the Burger and Hanger Steak were amazing and the Pork special was outstanding as well. We love Saison. Very original. Great service. One of our favorites. It is small and a bit noisy but I love it. I had guests in town and was surprised Saison could actually accommodate 8 with less than a weeks notice. It only seats about 40? Guess. 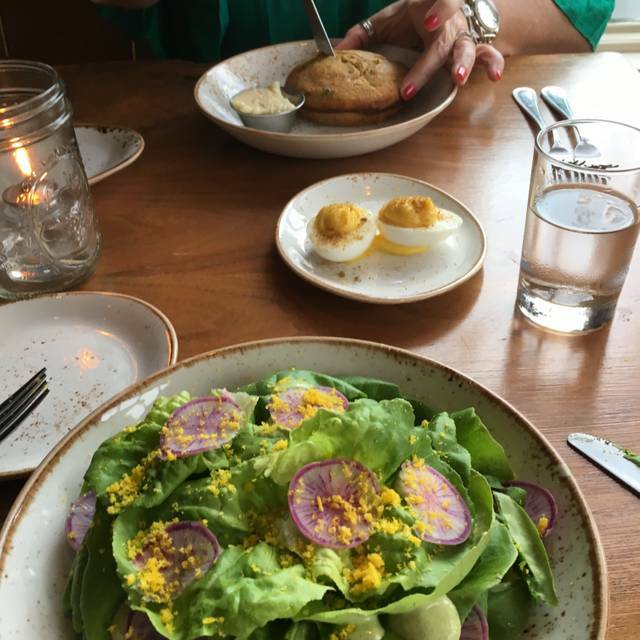 It is a solid seasonal eclectic restaurant focused on farm to table fusion which it executed very well. The menu is interesting and diverse. A little let down at lack of salads. Special of the day, mackerel was prepared in a unique grilled on one side only, waitress described as Sunny side up. 2 who ordered it were happy. 2 of us had seafood served in coconut habanero broth. 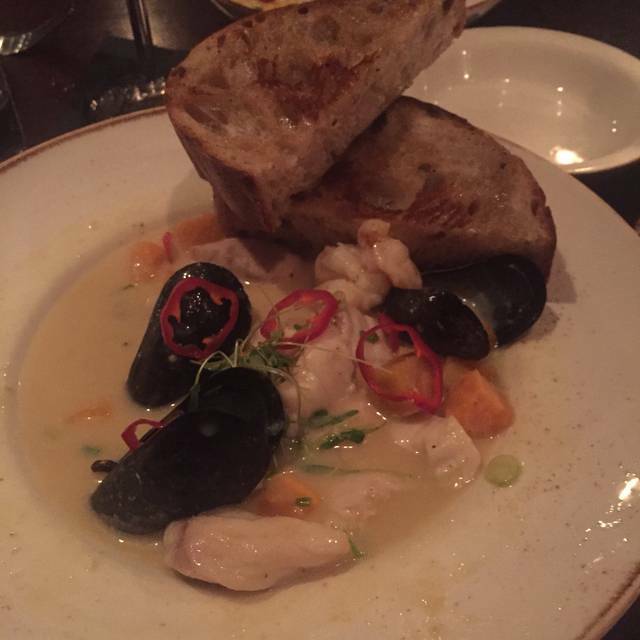 Tasty, ample seafood and wonderful grilled bread to dip in juice. Just enough heat. 2 had hangar steak which had a great mix of flavors, 1 had pork and 1 had burger. All done well and cornbread app and meatballs we shared were nice as well. Pricing and portions all reasonable, bill was a little over 300 w tip. We are not big drinkers which helped. They had an interesting cocktail menu. Second place I’ve been at in a week with no non alcoholic beer. Disappointed that restaurants aren’t picking up on that trend. On a side note I went to 2 grocery stores on Christmas Eve and both were sold out of non alcohol beer, so it is selling. It is very loud and the seats are those uncomfortable wooden ice cream parlor type round seat chairs. Non of us are extremely large heavy, so if you are, you’ll likely be very uncomfortable on these rickety chairs. Uncomfortable chairs at a restaurant are a pet peeve of mine. I don’t get it? You’re selling hospitality but don’t want guests to be comfortable in their chairs. I’ll go back, but not in a heart beat. Holy smokes, this place was amazing. I took my significant other for his birthday, and no regrets here. We started off with phenomenal cocktails, both recommended by our incredible waitress (Consult the Oracle and Sensorial Detective). Then we tried the cornbread, which was out of this world. Sets a whole new level for cornbread. I had a special, which was easily the best smoked chicken I’ve ever eaten. My partner ate the hanger steak, which was cooked to perfection. 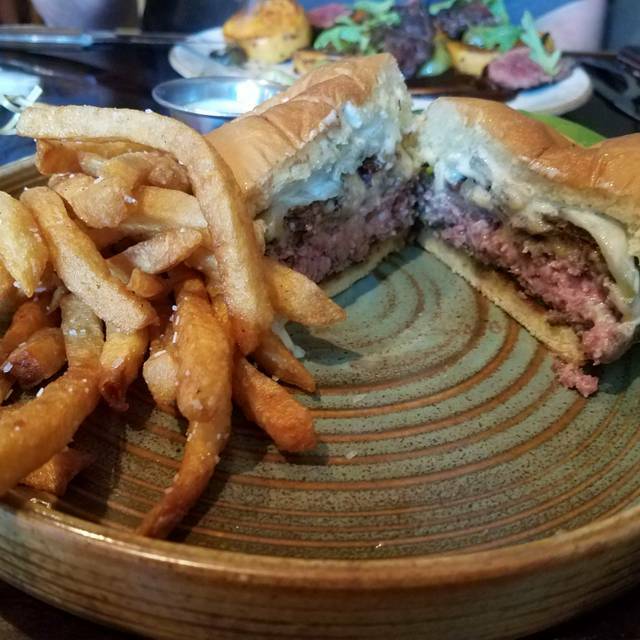 This was one of the best dinners I’ve had in a long time, and we plan on coming back to the market for beer and the burger, which we heard was great too. Only negative feedback I could give is that it is a little small, but luckily we had pleasant neighbors who weren’t too rowdy. Overall fantastic. Absolutely great food, everything is exceptional. It is just very loud! Our overall experience was fabulous! The food was excellent! Definitely will be back. Went for our son's 21st birthday (party of 6) on a Thursday night (12/6/18) Make sure to make reservations, the place is small and cozy. Ordered a bunch of the small plates, including mushroom dish, cornbread, oxtail, fish apps, all very delicious. Entrees ordered, hanger steak (melts in your mouth), branzino, shared with 2 people, delicious! All was great, including waitress. Will recommend to everyone. I love this spot! The food is always great and I’ve always had a great experience. My most recent experience while visiting Richmond was not so great, but mostly due to service. Waitress had a sour attitude from the start and we were barely tended to. The food was great, but we had terrible service from an extremely unapologetic manager (or someone who said she was manager that night?). We waited over a half hour for our food (table of 2) while tables that arrived after us were served some of the same entrees. The server/manager could have chosen to apologize, instead she was actually quite rude. We definitely wouldn’t have taken issue if her response wouldn’t have been so negative. I wish I could say I’d go back, but the service was just bad and there are lots of great restaurants where I can go and not be disrespected. Our second visit this year. Did not disappoint. Flavorful. Lively. Richmond.